John is well known as a producer with an eye for talent, producing the debut feature films from a number of directors – Jane Campion, Vincent Ward, Rowan Woods, Robert Connolly and Richard Roxburgh. Maynard has produced many films, including Jane Campion’s AN ANGEL AT MY TABLE, and THE BOYS, John’s first collaboration with producer Robert Connolly. He has been an active independent distributor in Australia and New Zealand for more than 30 years with his company Footprint Films having a reputation for creating innovative and cost effective marketing campaigns. In 2003 John was awarded an Honorary Masters Degree at the Australian Film Television and Radio School. 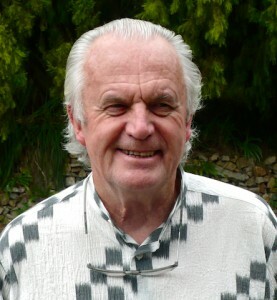 In 2005 the Australian Directors Guild awarded their highest honour to John, The Cecil Holmes Memorial Award for his support of directors and the ADG. In 2007, John received the AFI Award for Best Film for ROMULUS, MY FATHER and in 1989 for THE NAVIGATOR.